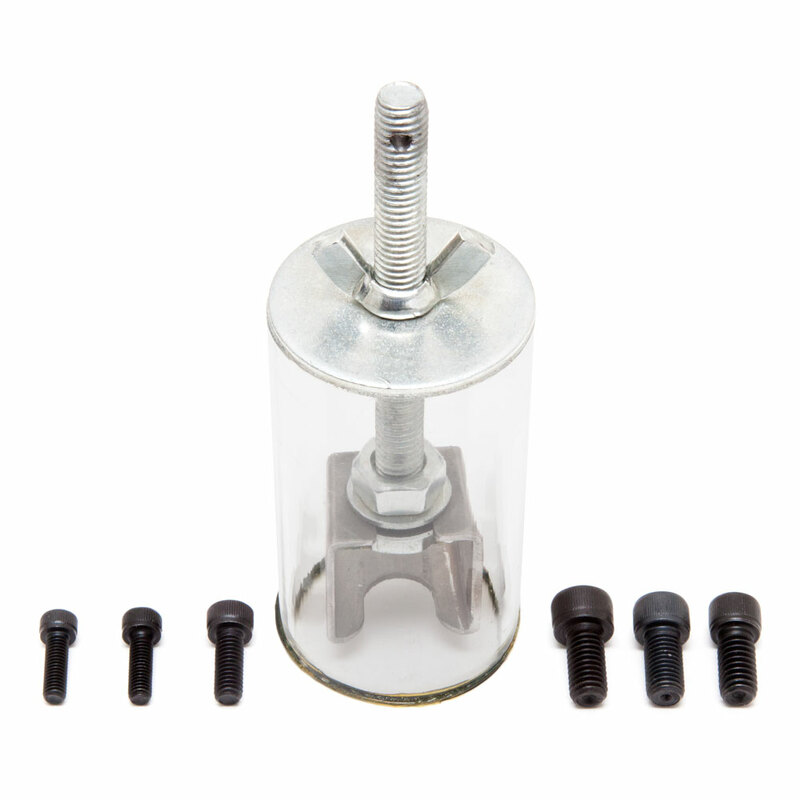 The Elmer Knob and Bridge Bushing Puller allows you to remove hard to grip items in a safe and controlled manner. The reversible slotted pull frame has a wide and a narrow slot, the wide slot slides in under control knobs to exert an even pressure across the bottom of the knob to avoid damage to the knob and pot shaft. The narrow slot works in conjunction with the included washer and various sized bolts which thread in to bridge bushings/studs, the frame pulls up on the washer and bolt head to remove the pushing from the guitar body. The included bolt thread sizes are imperial 5/16-18, 5/16-24, 10-32 and metric M5, M6, M8, Care should be taken when removing body studs as the finish around it may chip when pulling them out, you can score around the bushing with a sharp knife or heat it to aid removal. The puller has a rubberised base to help protect the guitars finish when pushing against the guitar body and the screw thread and wingnut allows you to apply steady pressure, slowly pulling the items upwards in a controlled manner.